This is the page for Perkins menu prices. Perkins Restaurant & Bakery is a casual family-style dining chain based in the United States, specializing in breakfast, lunch and dinner options. An in-store bakery offers guests sweet treats like cream pies, fruit pies, cookies, muffins and other sweet treats. Below are the latest Perkins Restaurant & Bakery menu prices. Loyalty does have its privileges. At Perkins, that means getting a 20% off discount coupon just for joining! By becoming a member of MyPerkins(r), guests are the first to know about exclusive offers, new menu items, and promotions. Members also receive a special gift for their birthday. Perkins is a family restaurant and kid friendly. So when the occasion calls for a place to eat out and celebrate a birthday, Perkins is the place! From a kids menu to coloring sheets and games, Perkins is perfect for celebrating a Birthday. Don’t forget the Birthday Club. Sign up and get a special gift on that special day. Guests looking for a tasteful gift idea should consider a Perkins gift card. Gift cards can be purchased online and mailed to recipient via postal service or guests can visit a local Perkins Restaurant. Either way, the recipient will be delighted. There is more to nutritional information than calories. Perkins is committed to providing customers best available information on hand. Perkins website includes a nutritional calculator, where guests can select a specific menu item and learn all the nutritional information plus get a list of the ingredients of each item. The website also includes a guide for guests with gluten sensitivity and wheat allergies. Be sure to check it out before heading to your nearest Perkins location. Since 1989, Perkins Restaurant & Bakery has been a strong supporter of the charity, Give Kids the World(r). The charity offers kids with life-threatening illnesses, and their families, a week-long vacation in Florida. Perkins has also served more than 5.5 million complimentary meals at its unique Gingerbread House Restaurant located on the campus of the Give Kids the World® Village. Along with great tasting food, Perkins is a great place to work. Potential associates can learn more about Perkins by visiting the Careers page on the official website. Candidates can also view the list of current openings and locations. The first location, known as Perkins Pancake House, was established in Cincinnati, Ohio in 1958 by Matt & Ivan Perkins. Today, there are 400 locations in 33 states and 5 Canadian provinces. Perkins Restaurant & Bakery is a privately held company owned by Wayzata Investment Partners and headquartered in Memphis, TN. Fans of Perkins Restaurant can follow the chain through various social media platforms. 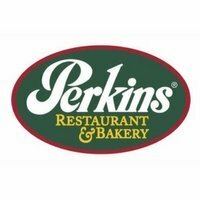 For more information about Perkins Restaurant & Bakery, visit their official website. We love the senior breakfast menu … appropriate portion sizes, reasonably priced and delicious! finally ,what the price of a plain Belgian waffle? last time I was charged way over 7 dollars for a plain one ……..Is’ nt it a bit expensive ? Why did U take the regular size Belgian waffle off your menu??? Ridiculous to replace it with the mini Belgian ones. U need to put those back on your menu now!!!! That is what I had on every visit to Perkins.